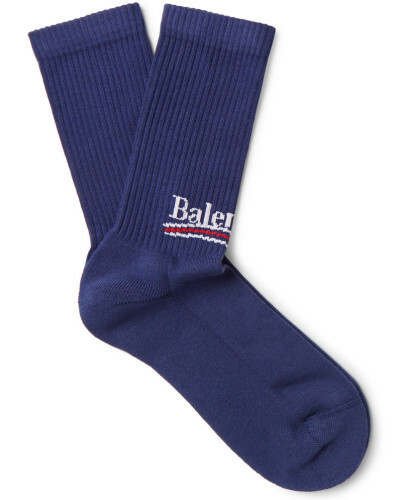 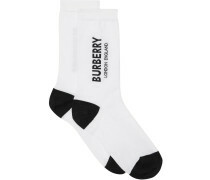 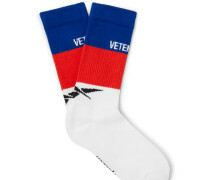 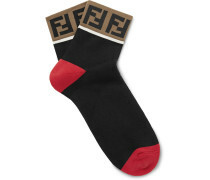 Red, blue and white stretch cotton-blend - 80% cotton, 18% polyamide, 2% elastane - Machine wash - Balenciaga 's stretch cotton-blend socks are intarsia-knitted with a not-so-subtle play on a politician's campaign logo. 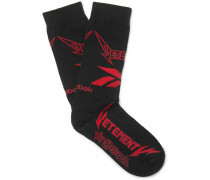 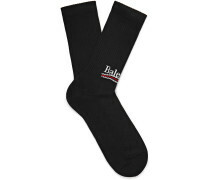 They have ribbed cuffs, so they won't slip or slouch. 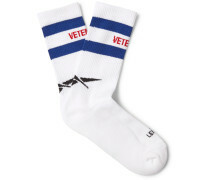 Keep the slogan visible with cropped trousers.